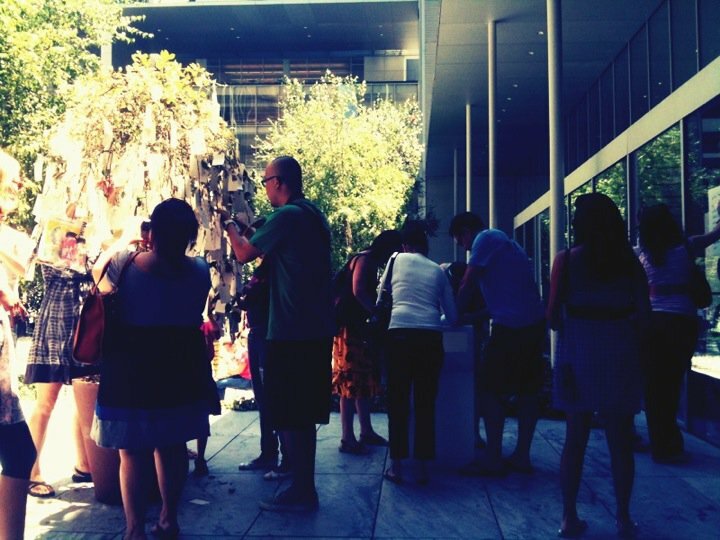 Click, Click, Caption this....: Yo-MoMa...Oh No! I, like thousands of other people, am not big on Yoko Ono, but this piece of art at the Moma, changed my opinion. 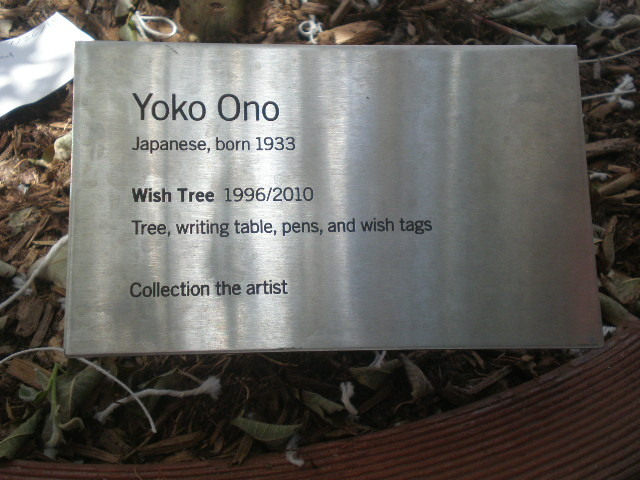 This is the Wish Tree, inspired by Yoko Ono. I loved it. I wanted to take part on this exhibit. I didn't want to over analyze and just wrote the first thing that popped into my mind. 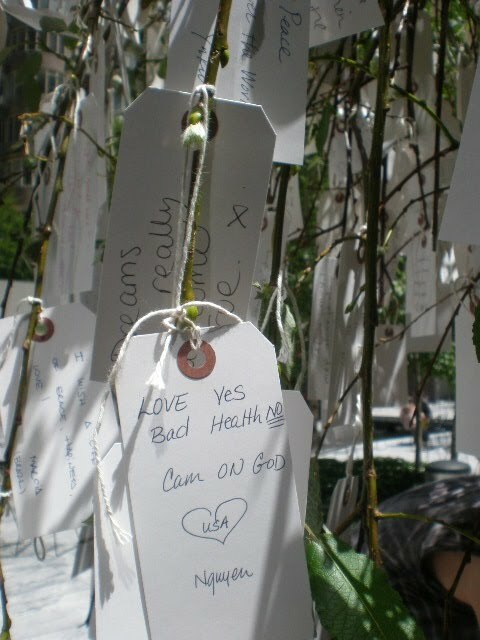 Hindsight, I could have written something different but I am happy with it, in the end. Must mean something since my feelings flowed right on paper. 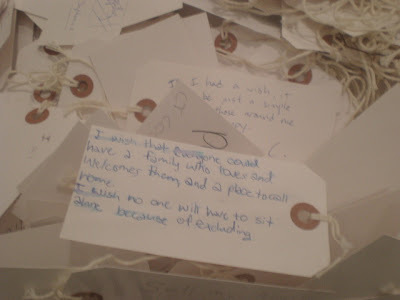 You can go inside the MoMa, and there is a clear box where the wishes are taken off the tree & placed inside for people to view. One in particular caught my attention and made me a little sad. I said a little prayer for this person, just in case this person felt lonely or excluded. That's one area in my life where I am pretty darn lucky.With a family like mine, lonliness is not an option.